I am clairsentient, clairaudient and clairvoyant - I sense, I hear and I see. I use the tarot cards as a focus, whilst connecting with your energy and can connect with your spirit guides & those passed over. I can see & work with your chakra & aura energy. If you desire guidance, clarity, insight & healing I can work with you to achieve enlightenment and positive affirmation of your life path. I have been working with spirit since 1997 & as a full-time Psychic & Tarot Reader since 2007. I can offer privacy in my own spiritual surroundings or can visit you in the comfort of your own home. * I live in Chard in Somerset near to both the Devon & Dorset borders. I can also offer absent/distance readings via telephone or Skype & absent energy work. If you would like to book a session with me please contact me via telephone 01460 66318 or 07941 168032 or email via the site. Payment for absent sessions can be made by PayPal in advance or bank transfer. I always try to reply within 24 hours & always reply to messages received. 60 minute reading - £55 30 minute reading - £35 Other prices on application. *Mileage rates will apply to travel outside of Chard. I can offer you readings, Tarot - using the cards as a focus, Psychometry - the reading of an item or object, Guide reading - where I connect with your Guides, communicate with them & pass on any information to you to enable you to connect with your Guides during meditation or everyday life. Past Life reading - I connect with your Past Life energy & can tell you about your life style & relationships to allow you to have an understanding why there may be obstacles, strong connections or patterns & how to help you deal with them. I also offer Past Life Regression where you experience your Past Lives for yourself. I am not a qualified hypnotherapist, these sessions are similar to guided meditation. Please take a look at the readings pages for more details. I can clear your home of any negative spiritual energy & activity - please take a look at my House Clearance page. I can give you Healing, Cord Cutting, Chakra Balancing, Aura Replenishment, Soul Retrieval & Past Life healing - please take a look at the Healing pages for further information. I occasionally work with crystals during healing sessions. If you are interested in spiritual development, learning to read the Tarot or would like to know more about spiritual activity, clearing or protection, I offer one to one sessions at my home, or can do them via Skype, FaceTime or your preferred video method. Jo bought her first set of Tarot cards at the age of 11 but did not begin to read them properly for many years. 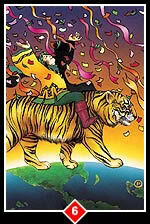 The fascination with tarot has grown over the years and Jo is now an avid tarot collector. Adopted as a baby Jo had no idea that both sides of her family had psychic connections until discovering more about her birth family. Having pre-cognitive dreams from a young age was a sign that the future could be known before it arrived but it was not until the age of 30, when Jo had her first readings from other psychics, that she had any idea that spirit wanted her to work with them. Over the past twenty years Jo has developed her own abilities & encouraged others to do the same. Having done email readings & telephone readings for people Internationally, taking part in Mind Body, Spirit Fayres & tarot parties, now running her own workshops & development groups as well as giving face to face & absent readings. 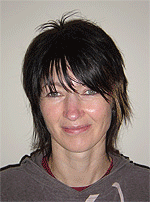 Jo's readings come with healing & her style is positive & reassuring as well as enlightening. Jo was born in Somerset & lives in Chard with her partner & their cats.